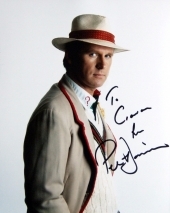 I have met Peter Davison on three occasions. 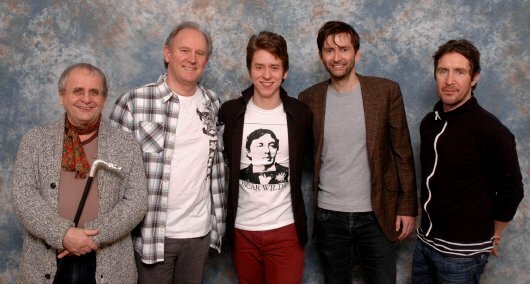 The first was at the London Film & Comic Convention at Earl's Court in 2008, and the second was at the Time Quest Doctor Who Event held at the De Vere Hotel in Cheshunt in March 2010. 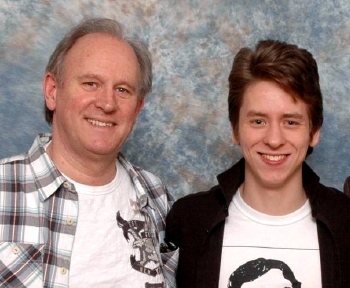 Peter Davison was born Peter Malcolm Gordon Moffett, in Streatham, London, in 1951. His parents were Sheila and Claude (an electrical engineer from British Guiana), and he has three sisters. The family moved to Woking, Surrey, where Peter went to the Maphill School. It was here that his interest in acting developed, and he took part in a number of school plays. After leaving school, he trained at the Central School of Speech and Drama. His first job was as an actor and assistant stage manager at the Nottingham Playhouse in 1972 when he had a small part in Shakespeare's Love's Labour's Lost. 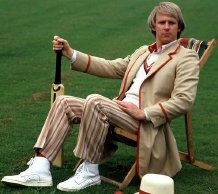 It was around this time that he chose to use the stage name 'Peter Davison' so as to avoid confusion with the actor and director Peter Moffatt. 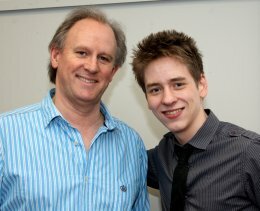 I then met him again at the Project Motormouth event in Slough in 2013, where I was photographed with him, alongside three other 'Doctors'. 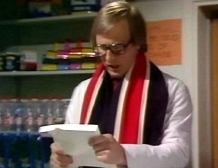 Peter Davison's first television work was as Elmer in a 1975 episode of The Tomorrow People. In 1977, he had the prominent role of Tom Holland in the 13 episode TV miniseries Love For Lydia. 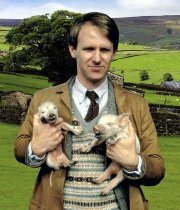 Great and Small, based on the books of Yorkshire vet James Herriot. 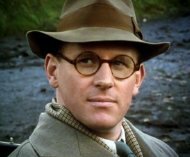 The series also starred Christopher Timothy and Robert Hardy. 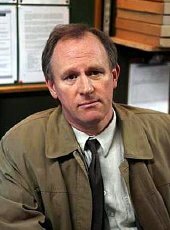 Peter Davison also appeared in the sitcoms Holding the Fort and Sink or Swim (both 1980). lapel, gave way to the colourful patchwork jacket of Colin Baker’s Sixth Doctor in 1984. 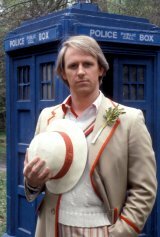 Nine years later, Davison returned to play the Fifth Doctor in the special, Dimensions in Time (1993). 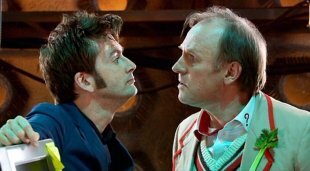 making the fifth Doctor’s actual daughter and the tenth Doctor’s genetically created daughter, the actual tenth Doctor’s wife!! family has a big lottery win that dramatically changes their lives. Shore in twelve episodes of Distant Shores (2005-2008). 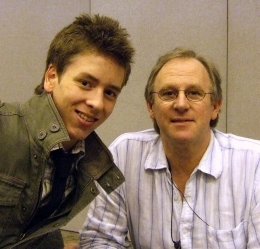 Between 2011 and 2014, Davison has played Henry Sharpe in 27 episodes of the popular crime drama series Law & Order: UK. television, although he has taken occasional roles in theatre, radio and film. His stage appearances include Barefoot in the Park (1984), Arsenic and Old Lace (1991), Dial M for Murder (1996) and Chicago (1999). 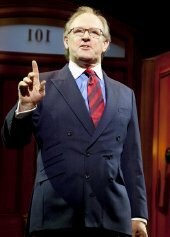 In 2010, he took the lead role as Professor Callahan in the West End production of Legally Blonde at the Savoy Theatre. 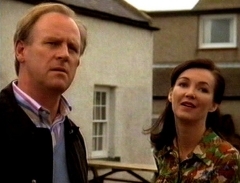 Davison's second wife is actress Elizabeth Morton. 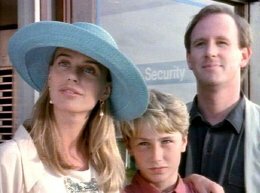 They married in 2003 and have two sons Louis (b.2000) and Joel (b.2002).